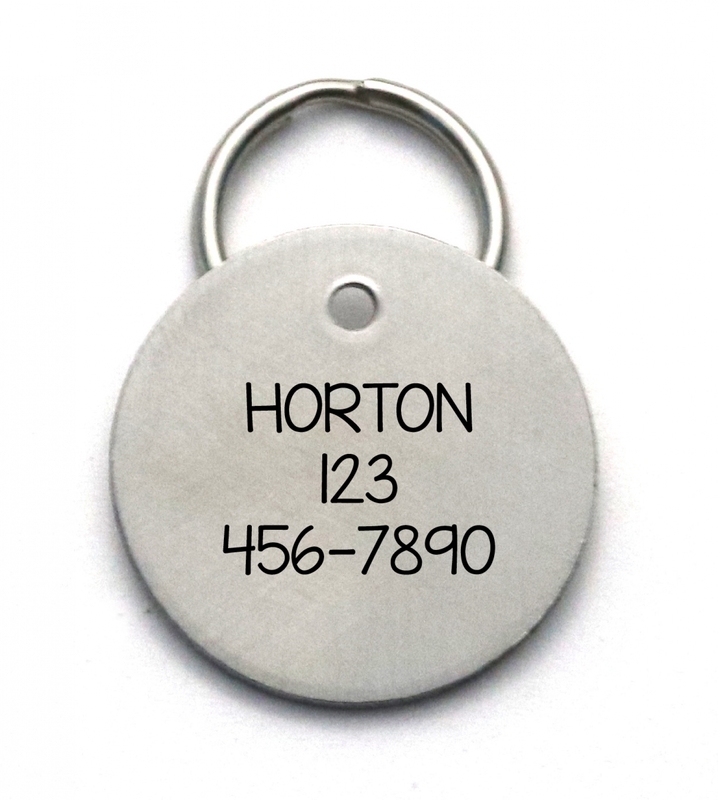 A 1-inch diameter medium size engraved stainless steel dog ID tag. 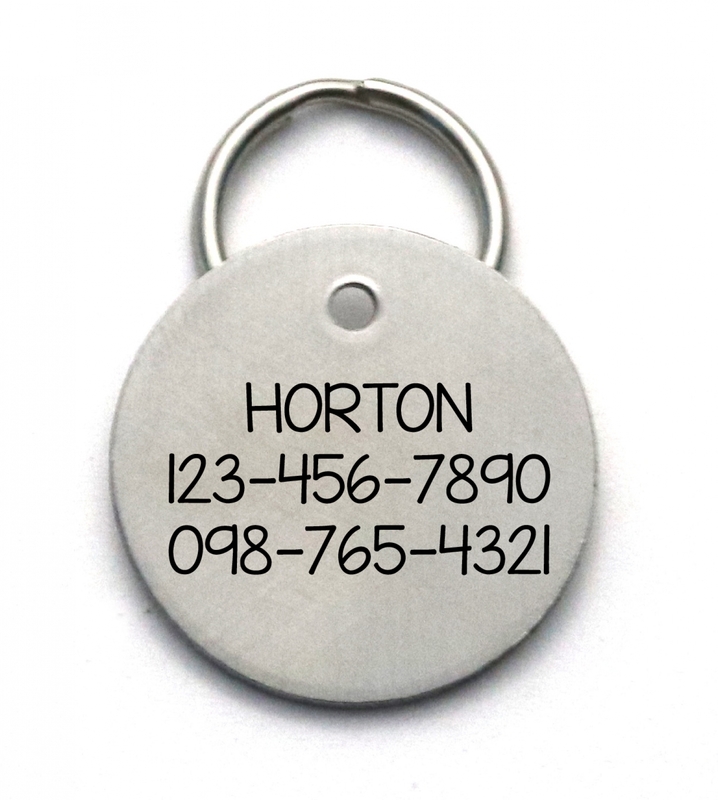 Fantastic gift for pet owners. 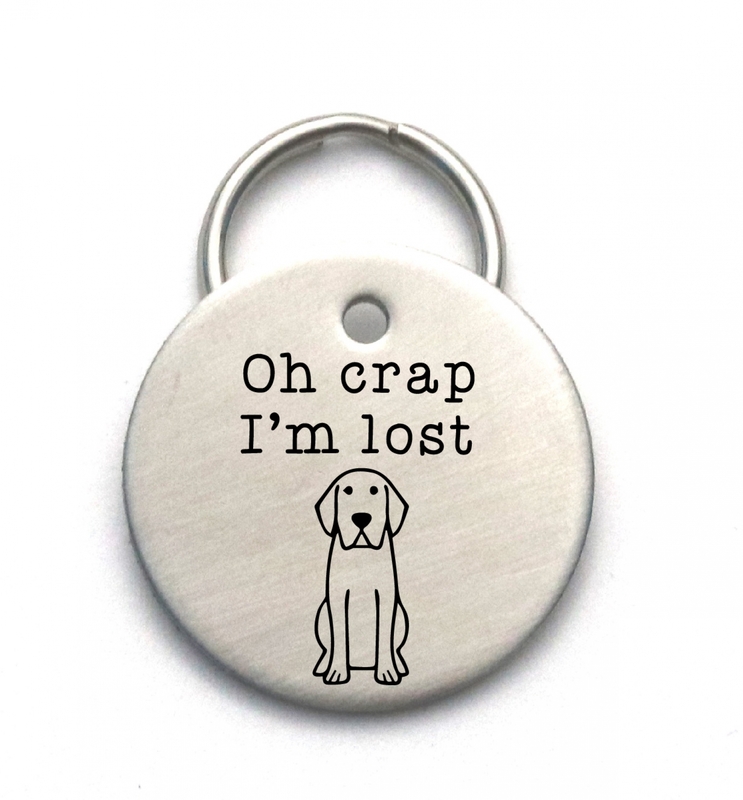 The front will be engraved as shown with "Oh crap I'm lost" along with the dog picture, and then your pet's name and phone number engraved on back. 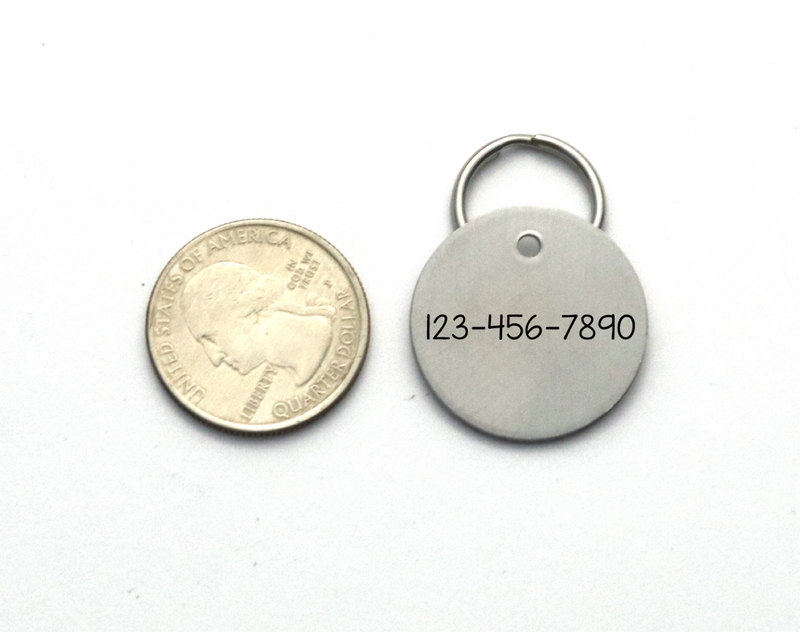 Production time is 3-7 business days.